All brides are beautiful – that goes without saying – but in order to look their absolute best for their husband, family and friends and not to mention the myriad of photos that will be taken on the big day, many brides-to-be seek to lose weight or tone their bodies. Amongst all the preparations for the wedding, it is important to look after yourself so make sure that you are eating healthily and well. Consider eliminating (or at least drastically reducing) sugar, alcohol and processed foods in the three months leading up to the wedding. Not only should you slim down by avoiding these, your skin will look fresher and brighter and your energy levels soar. It is difficult to target specific areas for weight loss so ensure that your workouts are for the whole body. Incorporate exercises for your back, shoulders and arms as these will no doubt be on show in your gorgeous dress. Working on your core will also help tone your tummy and waist as well as improving your posture so you stand tall and proud next to your new husband. For firming your thighs and bottom – important for modelling that honeymoon bikini – squats and lunges are key. Working with weights will define muscles, contrary to belief you won’t ‘bulk’ up but your body will look leaner. Short periods of exercise 30 – 40 minutes 3 or 5 times a week along with healthy eating will help you achieve your aims. And on the day, don’t forget to exercise your facial muscles and smile! Wow, Summer finally arrived with a vengeance! You may be thinking of holidays or at least have shed a layer or two of clothes. Going on a diet at this time of year to prepare you for your ‘beach body’ is the norm for many of us along with the thought that “I must lose weight before my holiday”. Personally, I refer to fat loss rather than weight loss as we must be careful to ensure that we retain, and build, lean muscle. 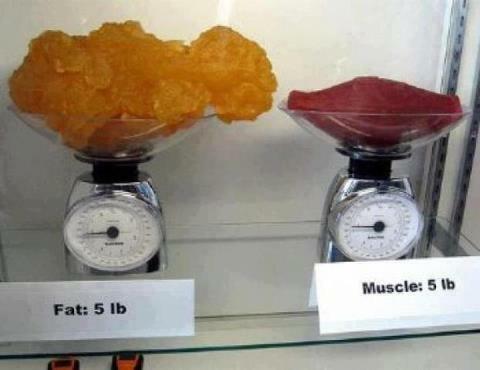 A pound of fat weighs exactly the same as a pound of muscle but takes up more space in our body. As we lose body fat, we will generally lose weight although this is not always the case and I will share my story of shedding body fat whilst maintaining my weight another time. I also tend to shy away from the word ‘diet’ and talk of healthy, nutritious eating and lifestyle. Consider these definitions from the Oxford English Dictionary. Food substance(s) to be taken into the body to maintain life. Diet i) restrict oneself in food especially in order to control one’s weight; ii) feed especially on special food as a punishment. So, one definition of diet is a punishment and restriction. Do we really want to punish our bodies? Now consider why we need food – as a source of energy (fuel). I’d like to introduce the concepts of mindful (taking thought and/or care), healthy (conducive to good health; beneficial) and nutritious (efficient food). So think about what you’re eating and why you’re eating it. Concentrate on healthy foods but *health warning* watch out for low-fat and processed foods. Aim to be healthy 80% of the time, that allows us some leeway as we’re not saints. Don’t get hooked on weighing yourself watching the scales for change. Grab a tape measure and record centimetre/inch loss from your body. Or use my favourite gauge – the ‘tight trouser test’. My main message? Become mindful about what you eat as eating nutritious foods will lead us to a healthy body. And smile in those holiday snaps!